If you are looking for a no hassle, low maintenance border, then you may want to think about using shrubs. Shrubs can bring color and beauty with hardly any work at all. 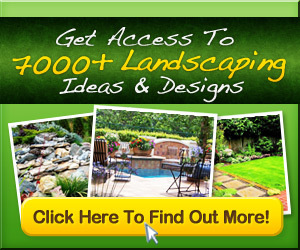 There are so many different styles to choose from and you will be sure to find the perfect one to fit your landscaping needs. Many different types of shrubs provide great texture and colorfulness. 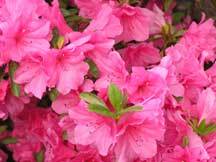 These types include azalea, lilac, hydrangea, hardy shrub rose, and dogwood. Planting a colorful shrub border will add a wonderful focal point along any home or walkway. They can also offer a balance to any garden by adding height to any flower garden. For focal points Don’t forget using landscaping rock! The key to planting a wonderful border is to design layers of colors and textures, and height. Whatever shrub you decide to plant, they will add color and texture to your home for every different season. Shrubs can grow to be enormous but as long as you keep them trimmed and maintained, they will add beauty and style to any home. You can also use shrubs to line your property with. If you want to add a borderline between your neighbors’ house and yours, this is the perfect way to do so. Shrubs will divide the space without shutting you in like trees do. Shrubs are a great choice for this project and one that both you and your neighbors will enjoy. Shrubs need to have good soil. It needs to be well-drained soil as well. You may need to add compost to your soil before you plant your shrubs. Whenever you are ready to plant your shrubs, check the roots to make sure that the shrub is root bound. Loosen the roots with a knife and then you are ready to place the shrub in the hole. Make sure that you give your shrubs lots of water. Do not worry if your landscape of shrubs looks kind of empty at first. Over time the shrubs will spread out and fill in the loose gaps. That is the best thing about shrub landscapes. You do not need to plant a lot to get a lot. If you want to, you can fill in some of the small empty spaces with flowers like perennials. You will be free to design a look that you and everyone else will enjoy. How To Handle A Shady Garden – No Problem!